The Spanish language TV company is trying sell websites it bought two years ago. The Onion – no joke – was never a fit. Neither was a massive debt load imposed 11 years ago when five private owners bought it. With lenders now looser than ever, private equity risks painful reruns. Univision Communications has hired Morgan Stanley to help it sell Gizmodo Media Group and the Onion, the company said in a statement on July 10. Gizmodo’s assets include Jezebel and Deadspin while the Onion includes its eponymous comedy website as well as Clickhole and the Takeout. Univision bought Gizmodo’s original publisher, Gawker Media, in August 2016, after the company had filed for bankruptcy following a $140 million court judgment in an invasion of privacy lawsuit brought by professional wrestler Hulk Hogan. The company bought a stake in the Onion in January 2016. 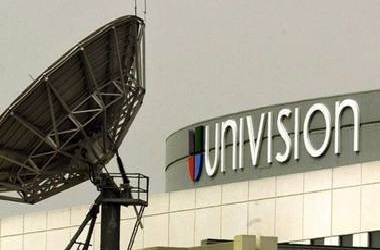 Univision was bought by Madison Dearborn Partners, Saban Capital, Providence Equity Partners, TPG Capital and Thomas H. Lee Partners in 2007.